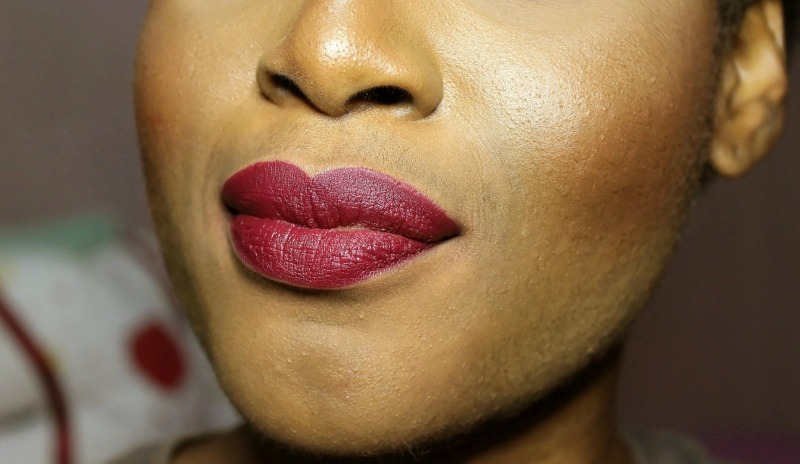 disclaimer: The fourth lip stain ie. Jasmine; was gone before I could do this review. I got a picture of it first though. 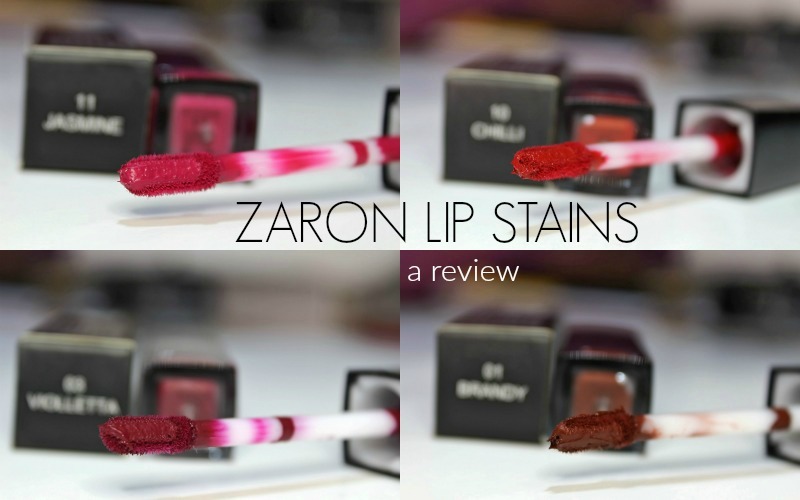 Zaron launched their new line of matte lip stains late 2015 and I did get a piece of that pie as they sent me 4 of these stains. 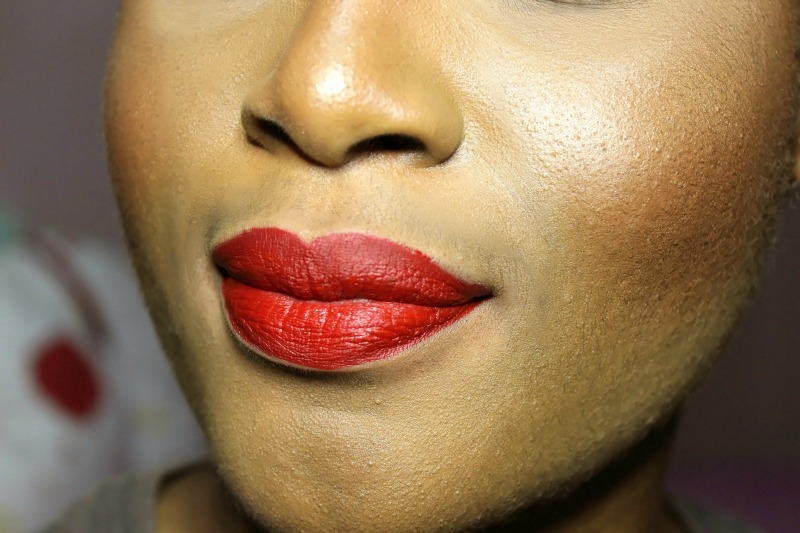 I must say though that I wondered about the choice of shades sent me seeing as I love my nudes but I remembered that I was still in vamp lip mode and will always love my red, lol. I've never actually worn brown lipstick before. 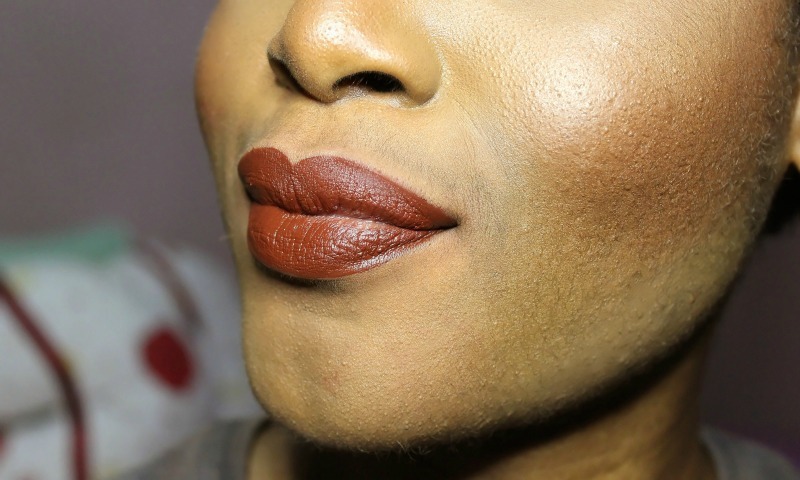 A bronzey shade? Yes. Brown? No. But this lip stain and I was love at first sight. It has a bit of red in it that compliments my warm toned skin perhaps that's why I'm loath to let people loan or use it in anyway, lol. I could say it's like my baby. Never have I loved a red lipstick as much as I love Violetta. An aubergine shade, it's such a beautiful cross between red and pink. I've worn this the most since I got the stains and I fall in love it all over again every day. Of all the stains I got, this seems to be the only one I can refresh well into the day. All I have to do is smack my lips together and it's back on more like a stain than ever. It took me a while to give this shade a chance as I'm more used to vintage shades of red which have more blue in them. Chilli has orange in it which - to me - dulls the glow on my face as opposed to enhancing it. I haven't worn it much due mainly to this but I'm still looking to give this a chance as a staple red shade in my collection. Unfortunately, I never got to try out Jasmine before she was moved to another home. It did strike me a surprisingly bright shade the one time I tried to wear it. Overpoweringly so if you ask me. I think it took me by surprise more than I like to be taken by surprise. Now though, I wish I could give it another chance so I'd have more to say about it.